I’ve been obsessed with SxSs and OUs for more than two decades now. 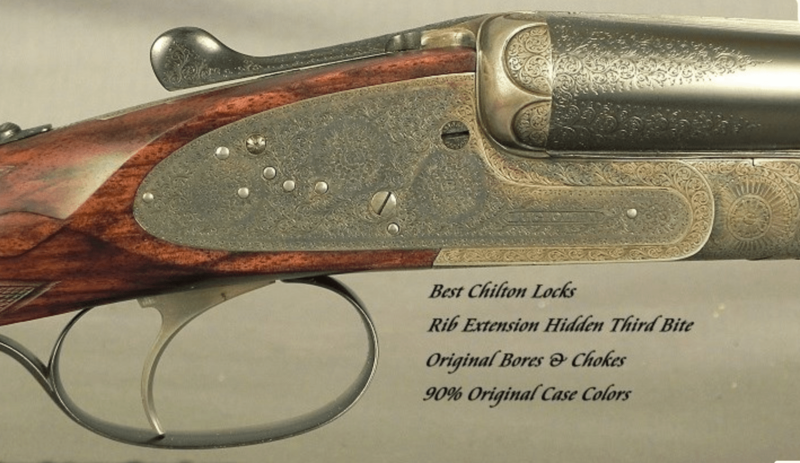 In that time, I’ve only seen one other sidelock SxS shotgun by R.G. Owen. 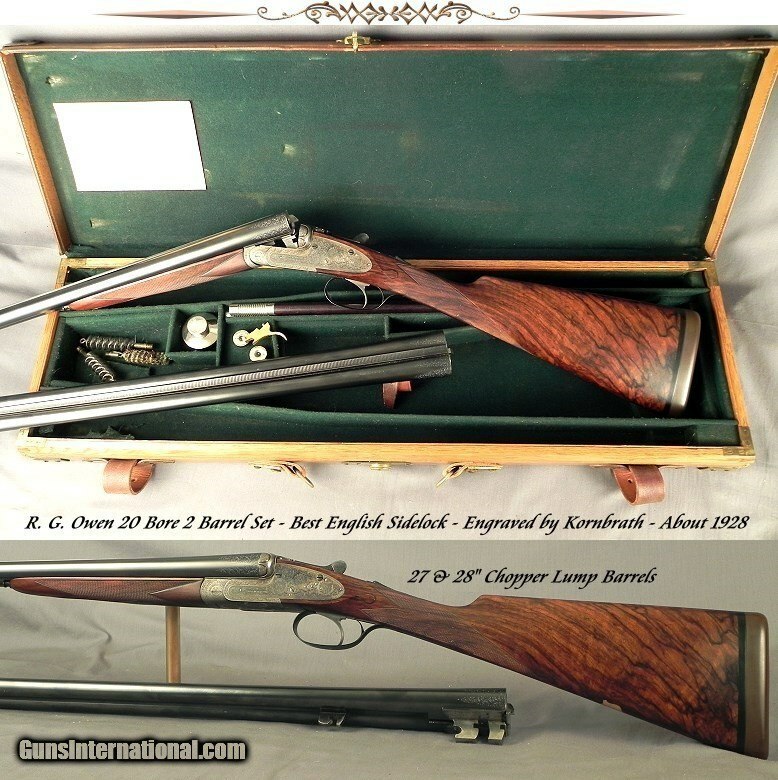 According to the dealer selling this one: Bob Owen was born in Wales in 1884 and his father was a stockmaker at Greener. It was the early 1920’s when he advertised Springfield remodeling and gunstocking from his Sauquoit, N. Y. address. 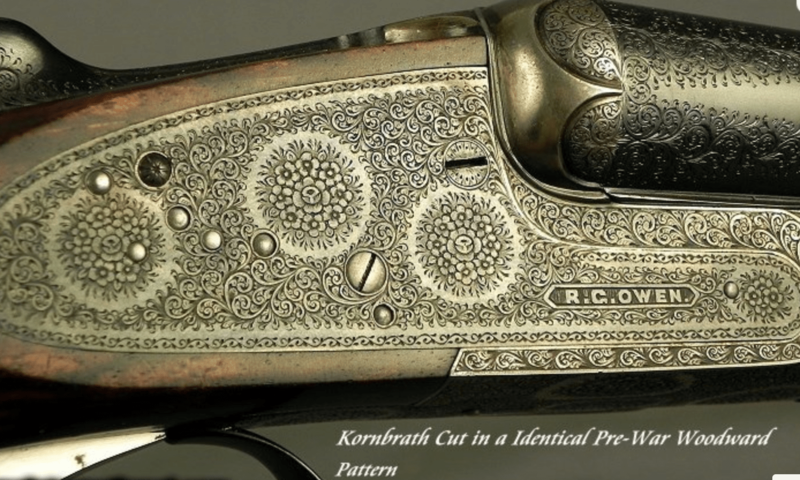 By the mid 20’s his custom rifles were some of the most expensive made in America. In 1931 he moved to Tucson, Arizona and by 1935 he was the head of Winchester’s custom department and was involved with the development of the M1 carbine. He made a try-stock for the Model 21 and helped fit people at Abercrombie & Fitch on weekends. He passed away in December of 1959.